Does CBD Vape Oil Get You High? Vaping is becoming a common activity and popular pastime in today’s society. The integration of CBD into vaping has added potential health benefits to the activity. CBD, or Cannabidiol, is now federally legal and has been deemed safe for use in its purest form. But the question remains: Does CBD Vape Oil get you high? 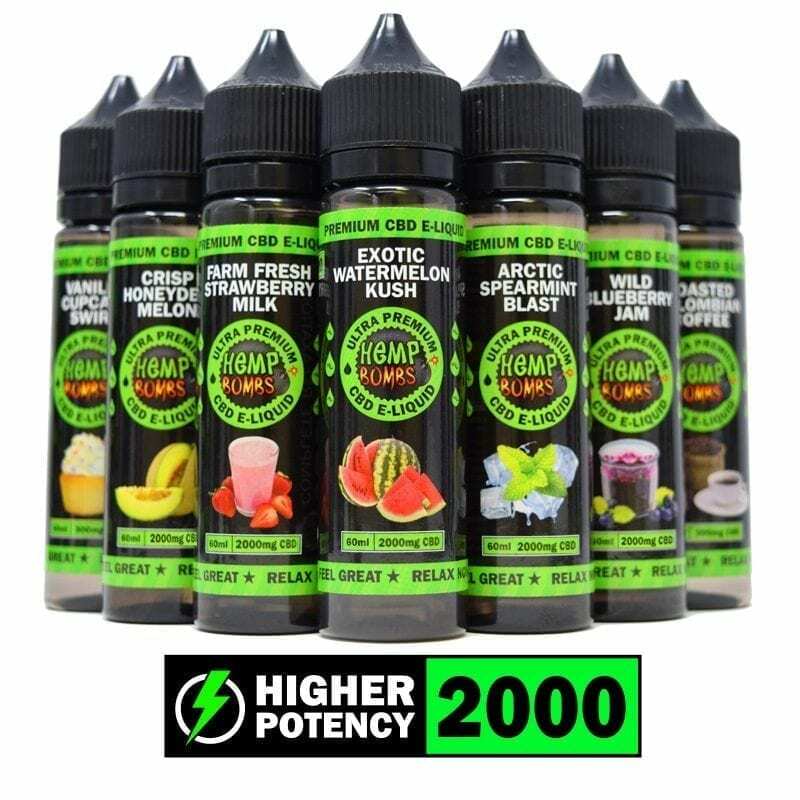 In short, Hemp Bombs CBD Vape Oil is not intoxicating and will not lead to a failed drug test. CBD Vape Oil, also known as CBD E-Liquid, is made with extracted CBD isolate, Propylene Glycol, and Vegetable Glycerin. At Hemp Bombs, we use a 70/30 VG/PG ratio to produce maximum consistency and cloud production. When heated, CBD E-Liquid becomes a vapor that can be inhaled, providing full body relaxation in minutes. CBD Oil has been studied extensively on its role in the treatment of many health issues including heart disease, acne, depression, and anxiety. Research on the potential health benefits of CBD is ongoing, and new therapeutic uses are being discovered every day. Although there is more to learn, recent studies suggest that CBD can provide a natural, powerful, and safe treatment for many health complications. Because of its fast-acting nature, CBD Vape Oil is highly recommended for those seeking natural and quick relief. Studies show that CBD has anti-inflammatory and anti-anxiety properties, making CBD Vape Oil a viable option for those who experience health issues – or for people who simply want a wellness boost. If Marijuana Produces A "High", Why Won't CBD Oil Do the Same? Does CBD Vape Oil get you high? The answer is no. This is because CBD does not have psychoactive effects. Marijuana has high levels of Tetrahydrocannabinol, or THC – the compound associated with getting “high.” Most CBD is derived from Hemp plants, which contain less than 0.3 percent THC. In comparison, Marijuana plants can contain up to 35 percent THC. At Hemp Bombs, we only use organic, non-GMO, Industrial Hemp for CBD extraction, and our CBD undergoes isolation before production, which means that it’s 99 percent pure CBD. Hemp Bombs products contain zero THC. All our products are tested by a third-party laboratory to ensure you are getting pure CBD. Pure CBD is federally legal, and because our products are made with CBD isolate, they are compliant with federal law. Products labeled full-spectrum contain all cannabinoids (compounds found in cannabis), present in the Hemp plant during extraction, including THC. And although full-spectrum products will not have psychoactive effects, the trace amounts of THC may result in a failed drug test and are not considered legal in all 50 states. For consumers concerned with passing a drug test, it is imperative to read the label for this distinction. When asking yourself “does CBD Vape Oil get you high,” consider all its compounds. Products that do not contain THC will not get you high, and since our products are made with pure CBD isolate, they do not have any psychoactive effects. Why Is CBD Vape Oil A Good Option? There are many ways to take CBD ranging from pure oil, gummies, capsules, and more. The list of ways to take this natural compound are growing every day. However, CBD Vape Oil is a great option for those seeking a more immediate effect targeted at short-term results. Inhaling CBD is one of the quickest ways to get the compound in your blood stream. CBD Vape Oil has also been found to relieve stress, reduce pain, and promote a good night’s sleep. Unlike cigarettes or other vape juices, our Vape Oil is nicotine-free and non-addictive. 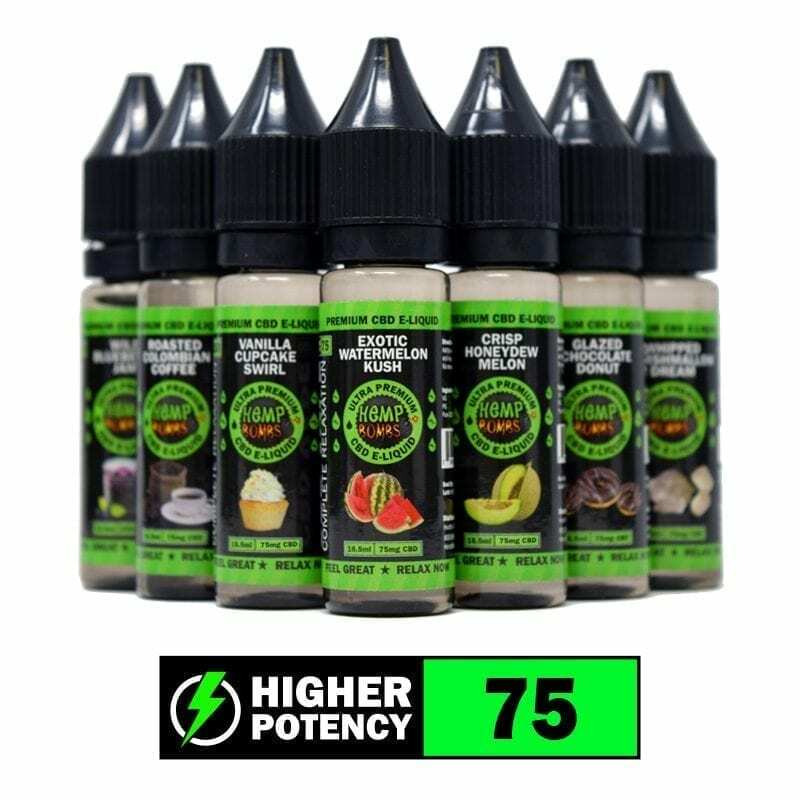 CBD E-Liquid may be an effective tool for quitting cigarettes and nicotine as well as promoting wellness, and it doesn’t produce a high or negative health effects. Vaping is also relaxing, and our products give customers a way to join a vibrant community of vapers. 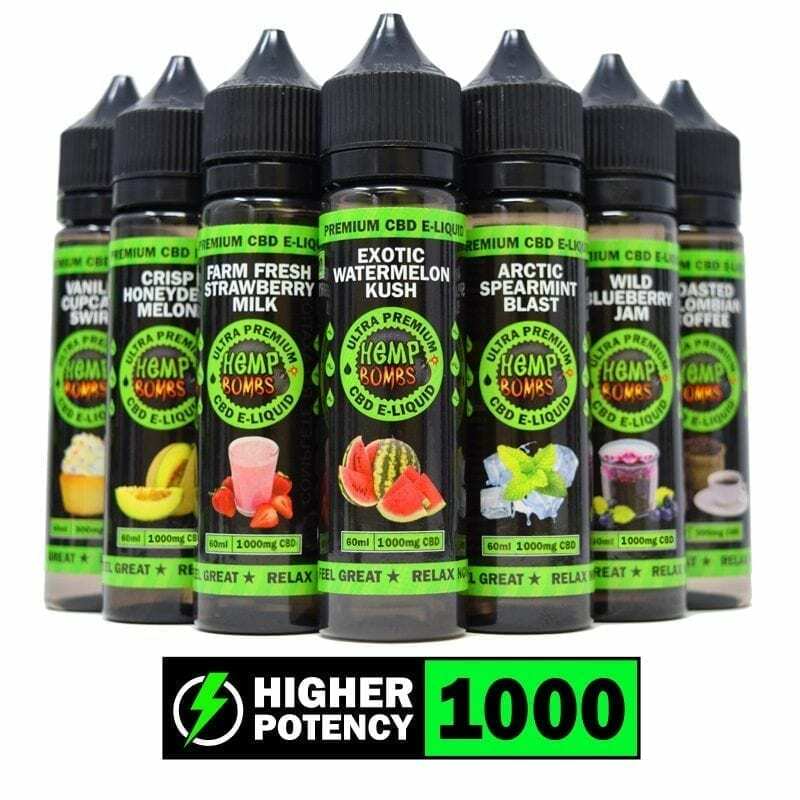 Hemp Bombs strives to provide our customers with an enjoyable vaping experience by offering our products in more than 12 unique flavors. Implementing CBD into your daily routine can promote a healthier lifestyle. Because of its effects on sleep and immune function, anyone can benefit from CBD Vape Oil. Our CBD Vape Oil is optimized for your enjoyment and can be added to your favorite vape juice to boost your vaping experience with the effects of CBD. If you’re still asking yourself, “Does CBD Vape Oil get you high?” you can rest assured that Hemp Bombs products will not alter your mind. Read more about the benefits of CBD Vape Oil.